Enjoy a full-day trip from San Francisco to the San Francisco Premium Outlets in Livermore. On the way, drive over San Francisco Bay Bridge for views of the Bay Area and Alcatraz Island. Depart San Francisco at 9am on a luxury coach to Livermore Valley. Enjoy scenic views of the Bay Area as you make your way east to enjoy a fabulous day of shopping. 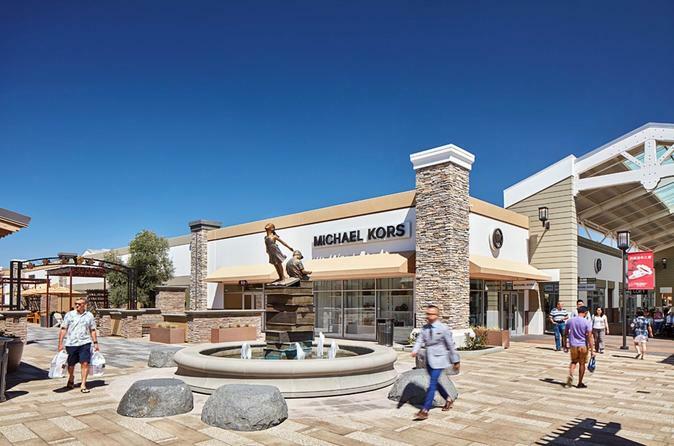 You will have free time for shopping and lunch at the San Francisco Premium Outlets. San Francisco Premium Outlets® is conveniently located in the Livermore Valley a short distance from the wine region. Enjoy visiting over 180 iconic brands and designer names like Prada, Gucci, Coach, and Versace, amongst an array of stores. This Premium Outlet outdoor mall opened just 5 years ago, providing visitors a beautiful and modern shopping experience.